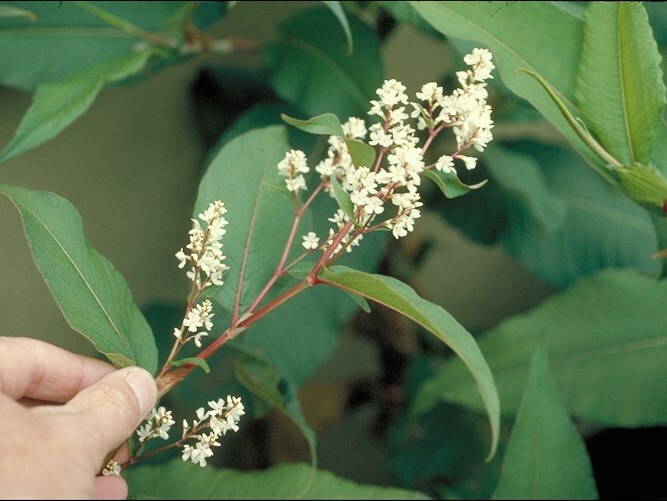 Persicaria wallichii (Himalayan knotweed) is a perennial herb/ (family Polygonaceae) with white flowers and narrow leaves found in the north and central coast ranges of California. It is native to south-central Asia. It favors grasslands, wetlands, bog and marsh, and riparian and bottomland habitat. It spreads via small fragments that form new plants. Means of dispersal include wind, water, animals and humans.